“Brooklyn Castle” has been a sensation and has already received numerous accolades from the movie industry. 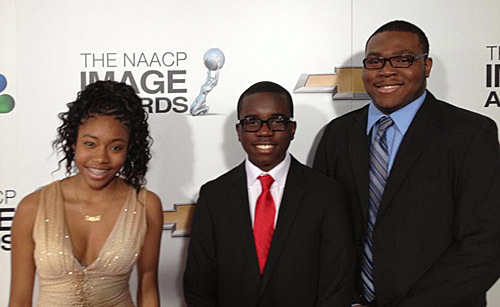 It was recently nominated for Best Documentary (Theatrical or Television) at the NAACP Image Awards. While it was not selected as the winner, the movie has had widespread acceptance as an example of how chess can serve as a successful complement to the educational process. 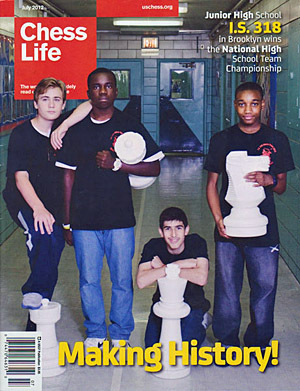 The documentary has been viewed internationally and was viewed during the 2012 London Chess Classic as a way to show the effectiveness of “Chess-in-Schools” programs. International Master Malcolm Pein has launched his own version with great enthusiasm. The documentary was even mentioned in a letter to President Barack Obama by film critic Roger Ebert who gave the film rave reviews. All of the main characters in the movie have moved on to other schools, but the success of the program may become a model for other schools to emulate. Such programs would be the subject of a intellectual discourse to revamp the failing American educational curriculum. Interesting results on 2/24/13 a Continental Chess Association sponsored high school championship. The top 3 players scored 5/6: that being Aleksandr Ostrovskiy, Joshua Colas and James A Black Jr. But James lost points with 5/6! So he must not have ended up with enough high rated opponents. Justus Williams came in 4th with 4.5/6 but gained a few points. Obviously he had a higher rated part of the field. This kind of event looks like a good one for low rated players who want to move up but not a good one for Josh, James and Justus.